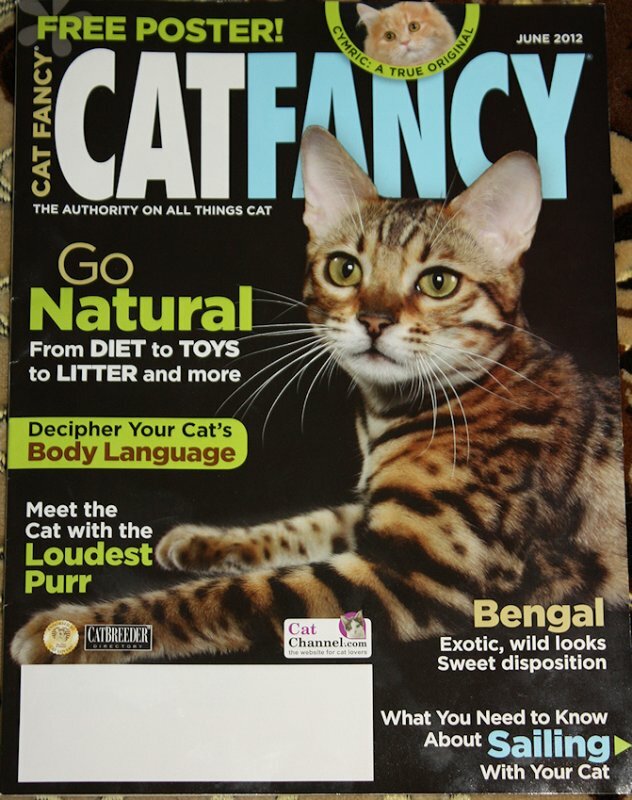 Cat Fancy cover – July! And here is a snapshot of the July Cat Fancy to be on stands soon, image by Starrlight Photo of too cute American Shorthair Kelloggs Empire, co-owned by Carly & Heinrich Kellogg and Poppy Schofield. Congrats to Empire and her humans! 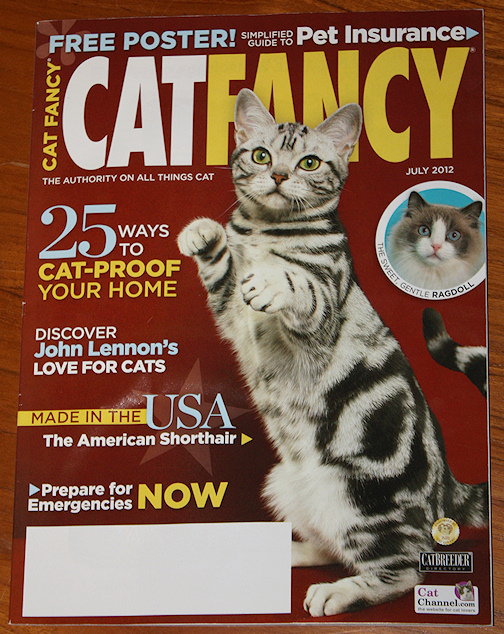 Cat Fancy cover – June! The current (June) and upcoming (July) covers of Cat Fancy magazine feature photos taken by Starrlight Photography! The June issue features a beautiful Bengal cat bred by Viki and Bruce Safely of Koppiekatz. Congrats to Viki and Bruce and Rio for being chosen for the cover!